Instilling seeds of aspirations into newer galaxies..
don’t push me so high. 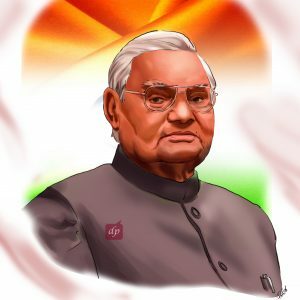 Oonchai (Heights) is a poem written by our beloved former Prime Minister Atal Bihari Vajpayee. The poem outlines the importance of striking a balance between soaring towards higher skies and keeping a firm foot on the ground, so that we do not end up detaching ourselves from feelings of compassion, love, whimsy and togetherness, so that we do not forget to take everyone along as we soar to greater heights. As he leaves, his words are etched in realms of immortality. I took the humble liberty to translate a few lines from his poem.